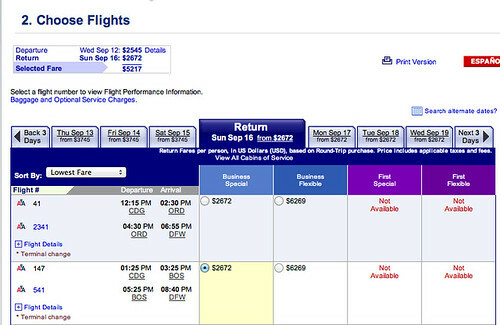 American has a big fare sale to Europe going on and some of the best deals are on Business Class tickets. The sale runs through September 1, 2012 and some of the discounts are as much half off the more typical price. That’s a 46 percent discount! Some of the cities included are London, Brussels, Helsinki, Barcelona, Madrid, Paris, Zurich, and Rome. 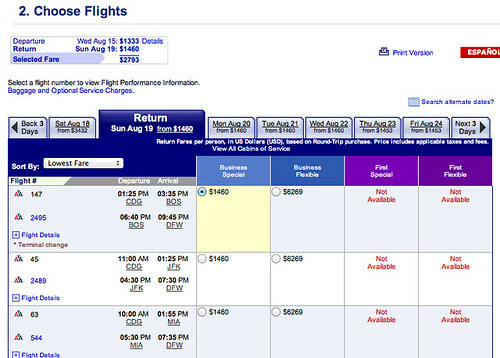 These fares require a Saturday night stay and have to be purchased by July 3. Travel has to be completed by September 2. Speaking of fares, have you ever wondered who sets the prices? Here’s an interesting behind the scenes look at the revenue management department at American Airlines.